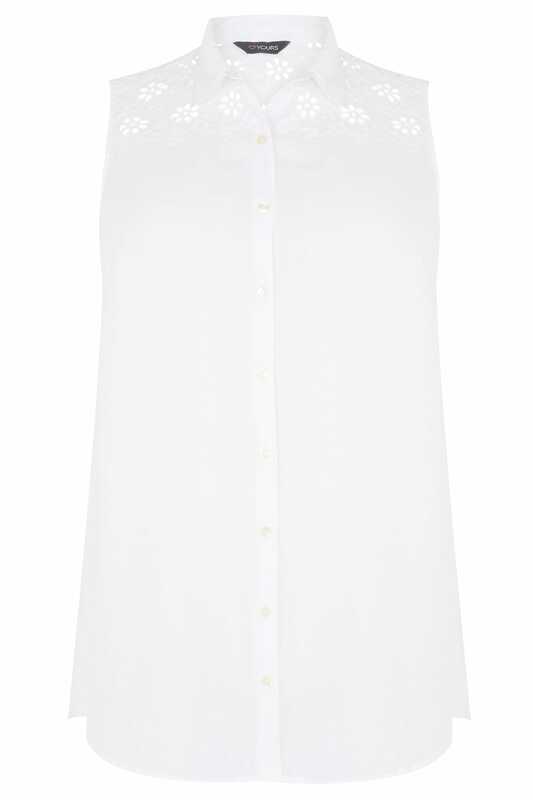 Bolster your separates with this elegant broderie blouse. 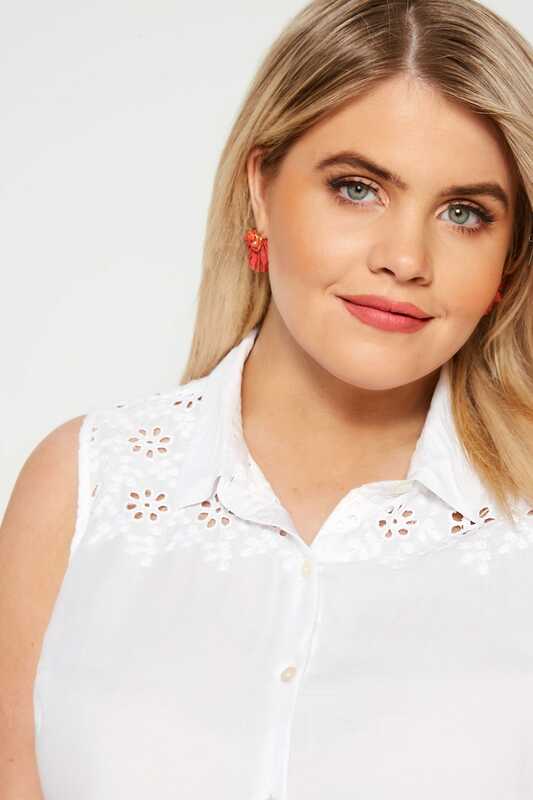 Thoughtfully detailed with a floral yoke, it also features mock shell buttons down the centre and is finished with a classic collared design.  Great for weekend dressing, team with cropped blue jeggings and sandals for easy off-duty chic. An essential shirt for the warmer weather.